In the past, we have spoken about how the oft-hot and humid conditions in Australia can pose serious health risks when not properly accounted for. When taking a look at the mining industry, heat and humidity are substantial risks to the health of almost all involved, including those behind the wheel of mining equipment. As many of Australia’s mines are located in hot, arid areas, staying cool and well-hydrated is important. However, while keeping temperatures as manageable as possible is certainly important, certain mining equipment may not necessarily come with air conditioning systems as stock standard. To ensure the health and safety of those operating this equipment for hours in the sunlight, ancillary air conditioning / cooling systems need to be installed. Just one example of mining equipment that Briskair can install an air conditioning / cooling system for is the range of Bobcat earthmoving equipment. As many of the cabs to Bobcats can be relatively small, space may be saved by not including an internally installed air conditioner. 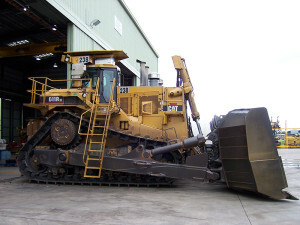 However, like most mining equipment, there is the possibility to install an air conditioning / cooling system. The system itself is installed strategically so that even though it may be external to the mining equipment itself, it will not obstruct any important sections. At Briskair, we use products include Viesa, Pure Air, Koolkat and Ecowind. These air conditioning systems are built to last and can endure the strong taxing conditions that come not only from the Australian heat, but from the cold and storms, as well. The most important aspect of any ancillary air conditioning system is that it will help maintain manageable and more agreeable temperatures for those operating mining equipment. This, in turn, promotes greater health and safety, as well as improved productivity. If you’d like to find out more about Briskair’s air conditioning systems for mining equipment, check out Our Products page or call us on (07) 3277 0980.